The Predator Value Tig Welders Gauntlet is made from top quality supple goathide leather, offering superb protection, dexterity and grip for TIG welding applications. 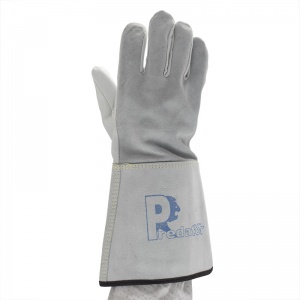 With a split leather back and cuff, and twaron aramid fibre stitching, the Predator Value Tig Welders Gauntlet has the optimum combination of natural and artificial materials, resulting in a glove that is both comfortable to wear and highly protective. 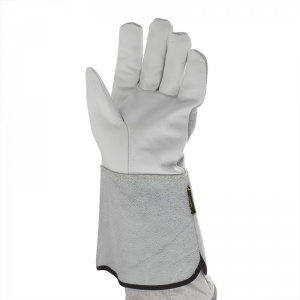 The product code for this gauntlet is PRED6C. 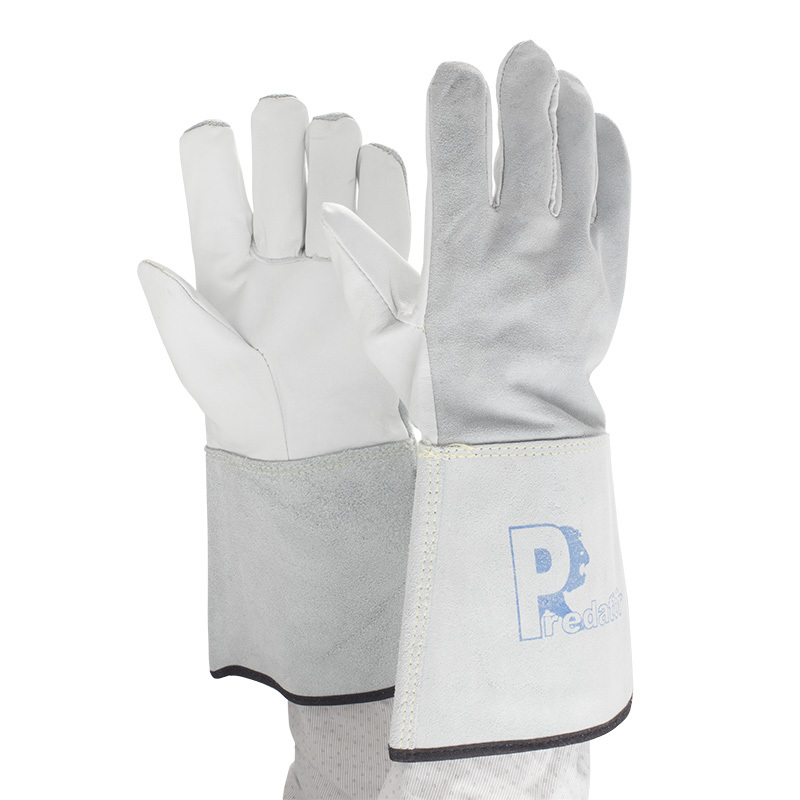 The Tig Welders Gauntlet was developed with welders in mind, scoring the maximum rating in EN 407 tests for resistance to burning and molten metal. 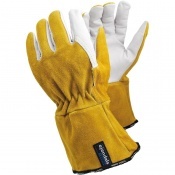 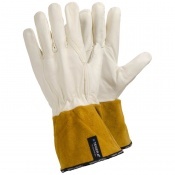 As well as being ideal for TIG Welding applications, the supple leather and highly protective aramid weave of the Tig Welders Gauntlet makes them perfect for gardening duties. 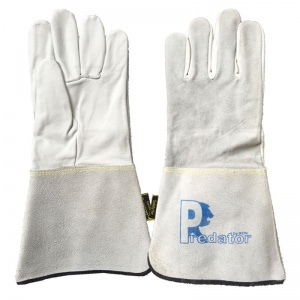 The Predator Value Tig Welders Gauntlet is supplied in a single universal size that should be suitable for most hands.